This branding project is truly anything but gray. 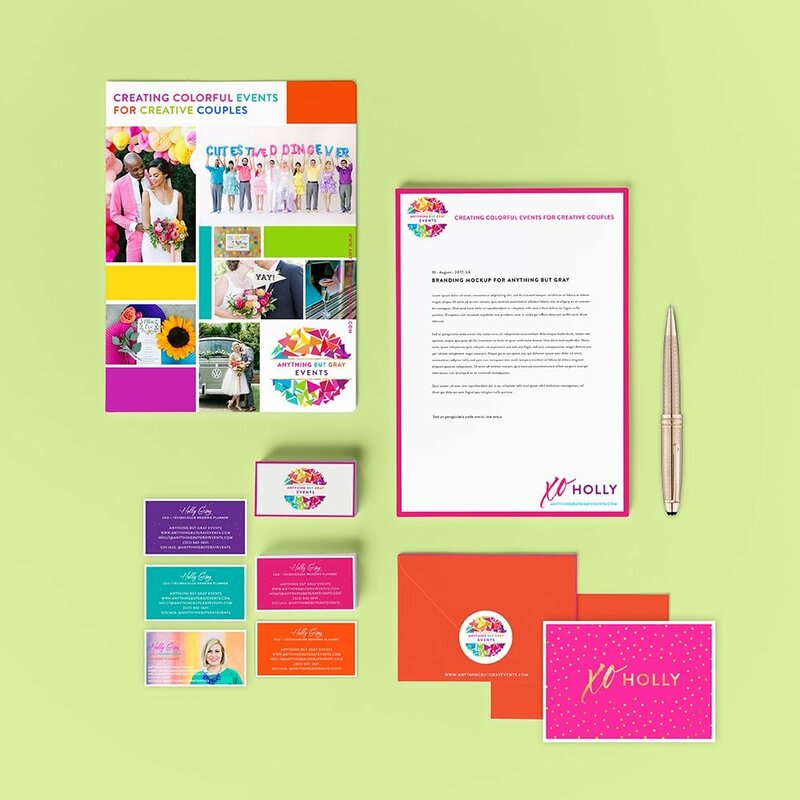 Holly Gray, technicolor events planner based in California, wanted a complete rebranding when she approached brand strategist extraordinaire Ginny Krauss. Her brand wasn’t hitting her ideal clients. 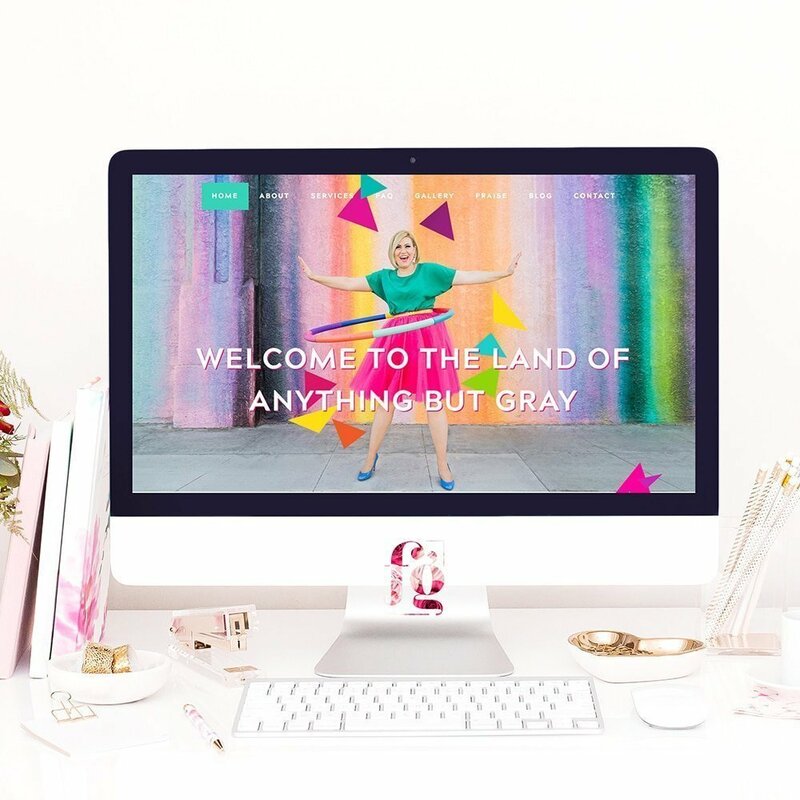 She felt like she hit a wall, and wanted a new direction so she can grab the attention of clients that she wanted to work with – fun, creative, and colorful couples who wanted anything but gray. 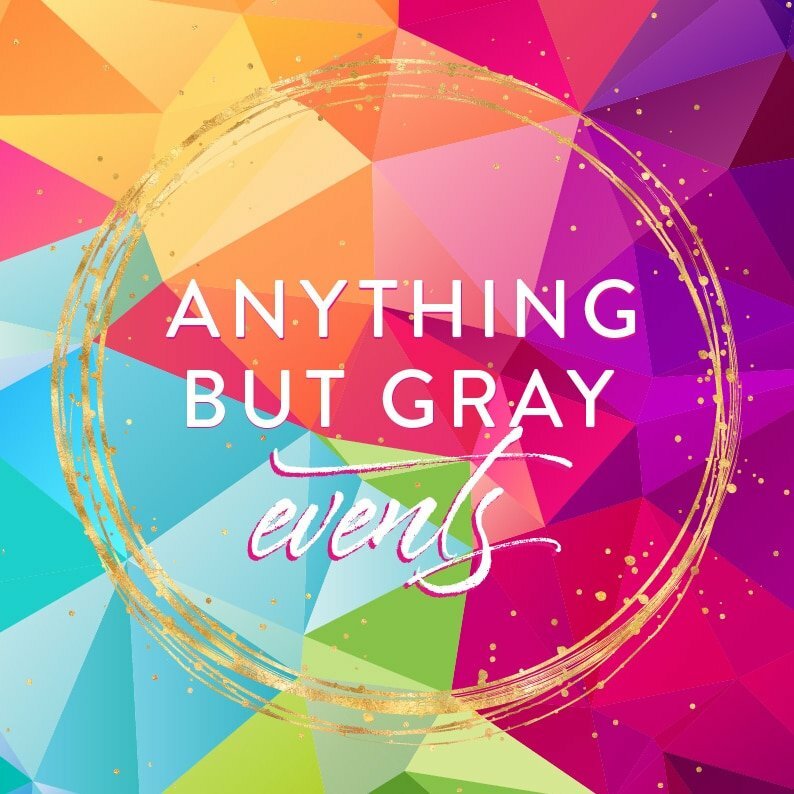 Ginny guided her through the process, and so Events by Holly Gray became Anything But Gray Events, with a totally new brand identity and design. 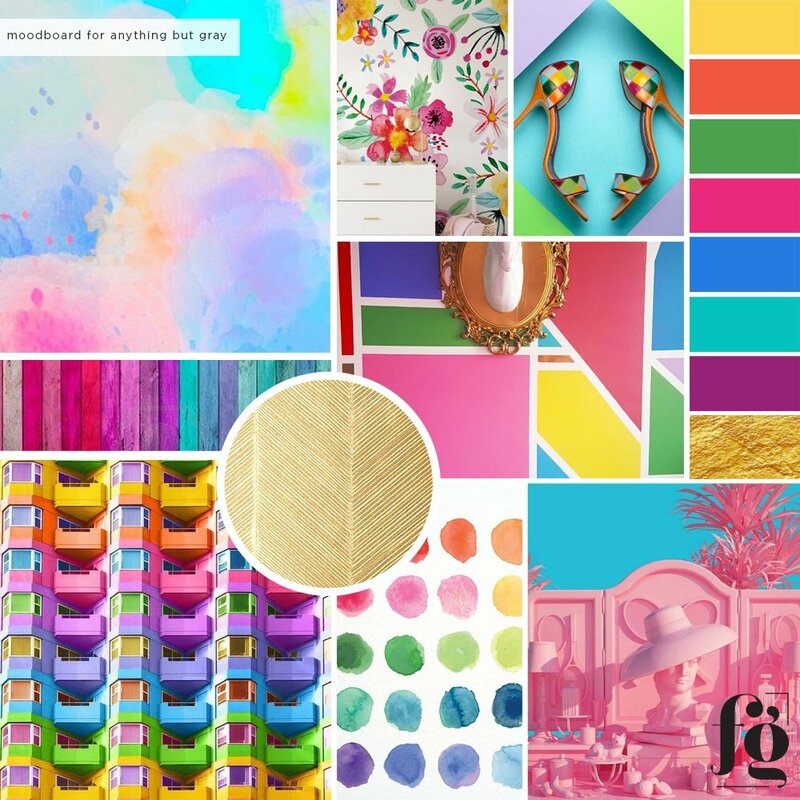 As with most projects, after the initial consultation, Pinterest board curation, and design questionnaire, we started with a moodboard. This is a technicolor lady boss we are working with, so of course it will be as colorful and vibrant as she is! The logo design process took several weeks. 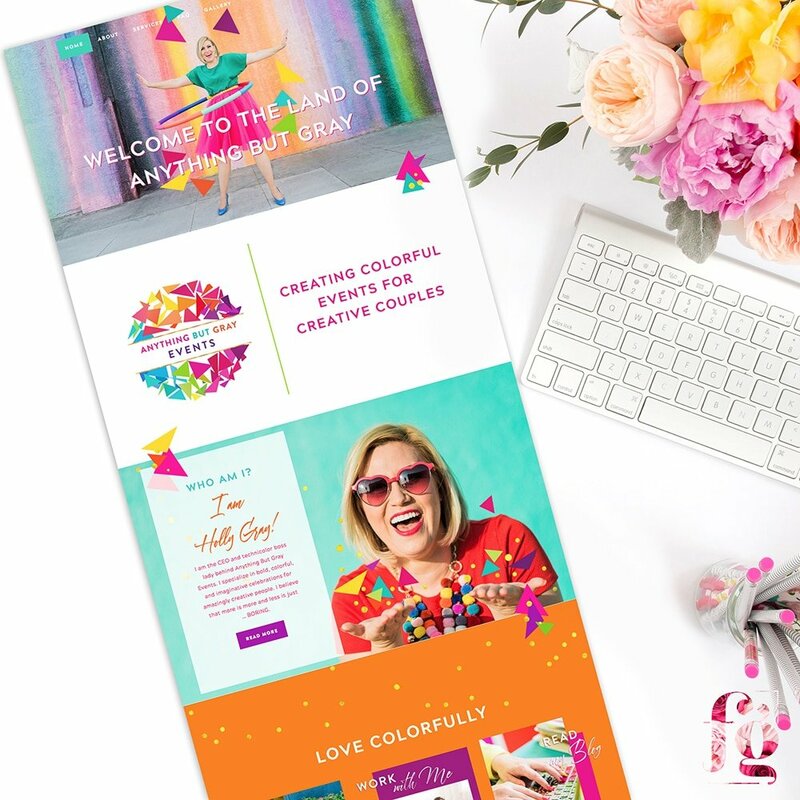 Holly wanted the concept of having several colorful pieces forming a cohesive whole, with a circular element, gold confetti, and a mix of sans-serif and an edgy script. I forgot how many versions we worked on until she finally chose one – but that’s mainly because I kept trying to pare down the design and keep things simple & clean, when that’s not who she is. It was after chatting with her and getting to know her better that I realized where this brand identity design needed to go. 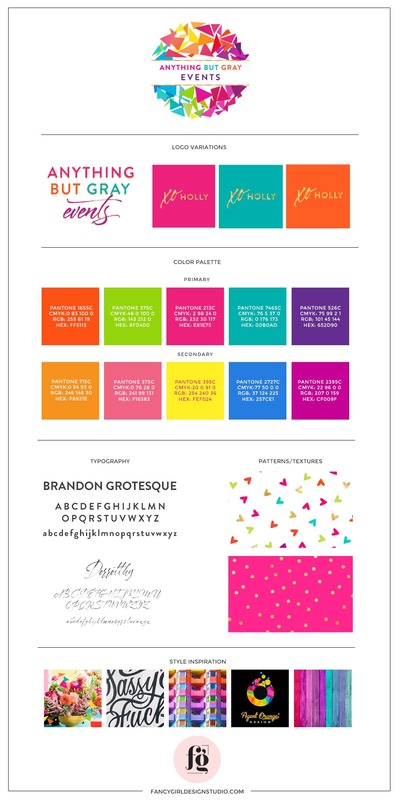 Like her brand, her stationery suite is also technicolor and fun. 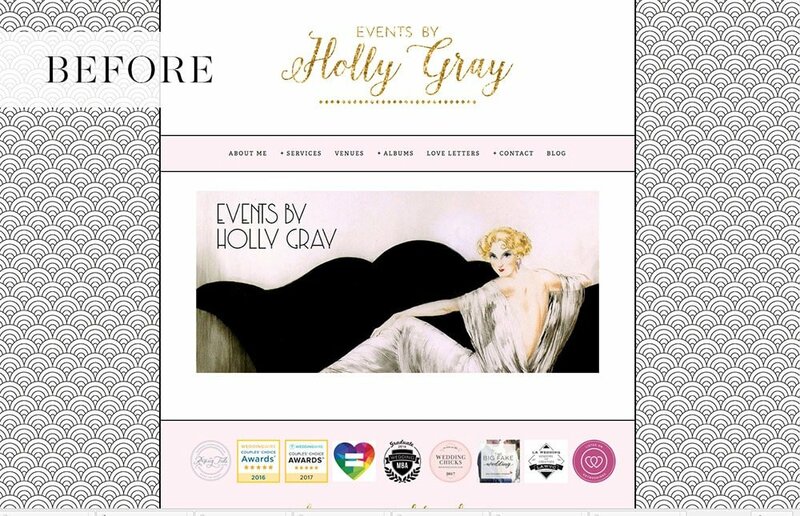 This is her new website. It’s like entering into a technicolor dream world.